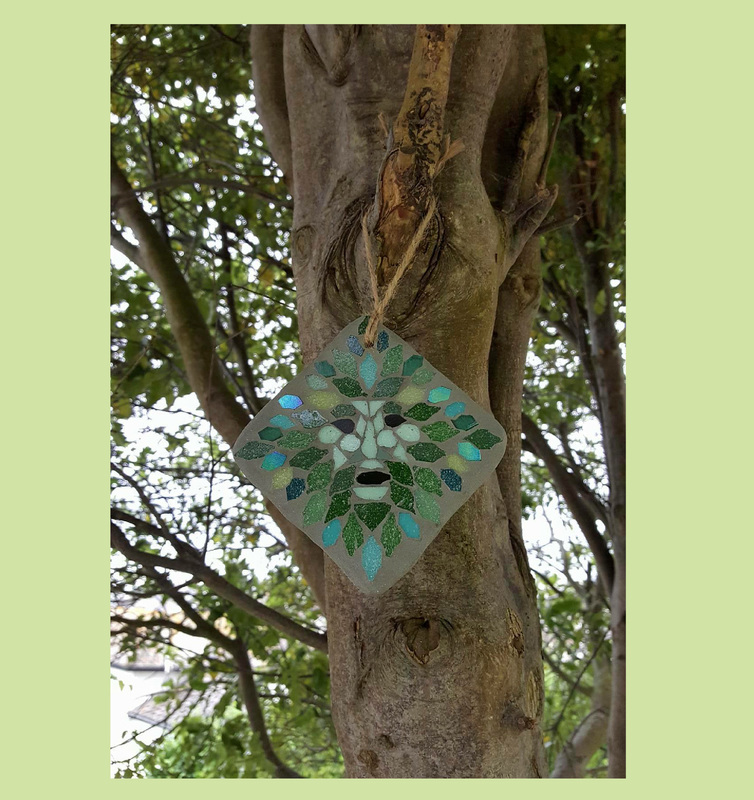 Feedback received from customers of JoSara via this website, Facebook, and my other online shops (you can view the feedback on my Folksy and Etsy shops in situ via the Links section above). 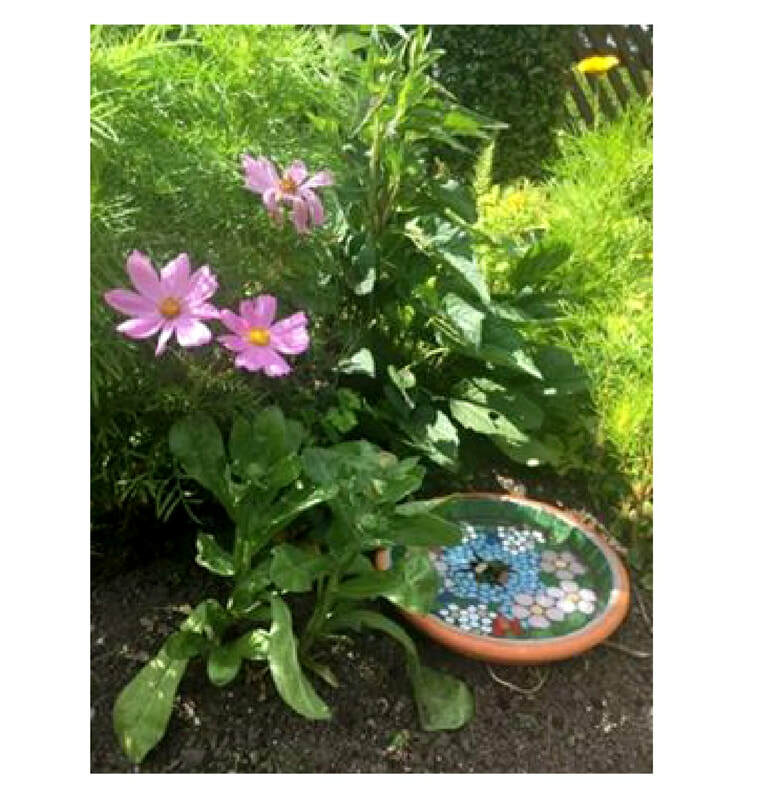 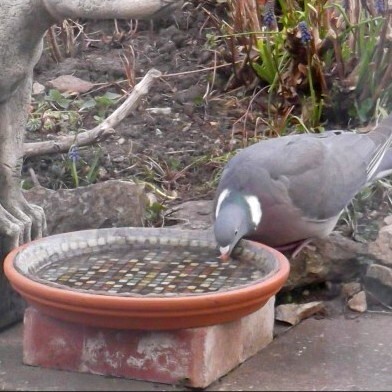 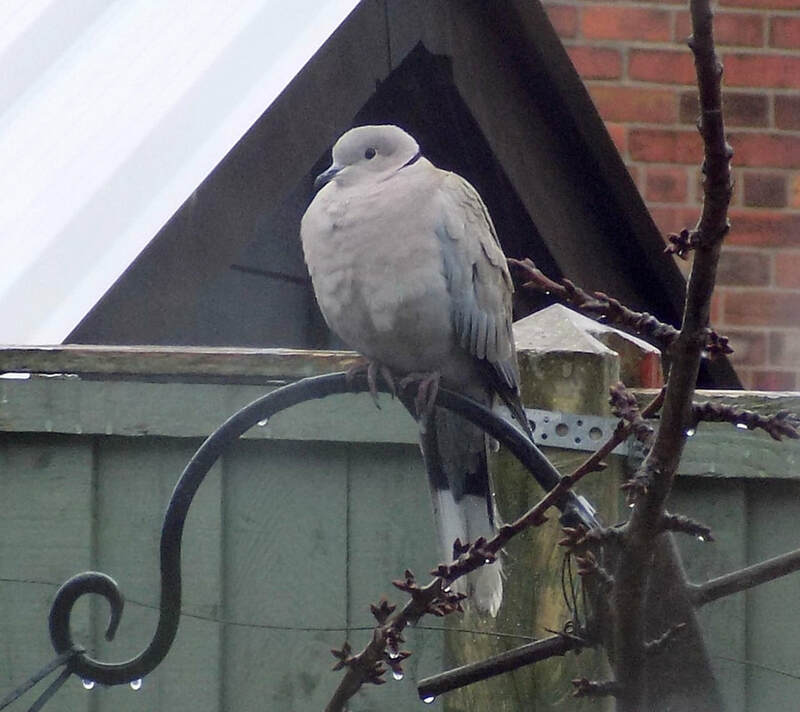 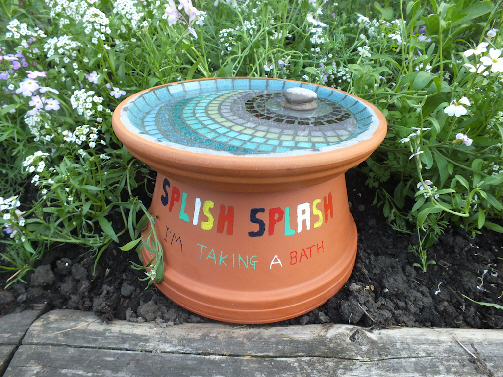 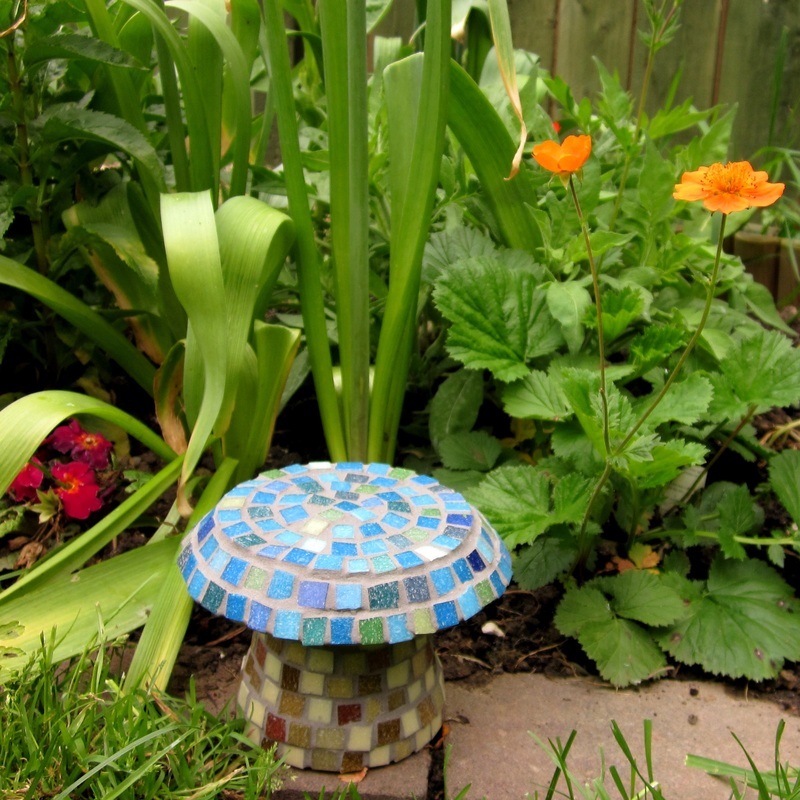 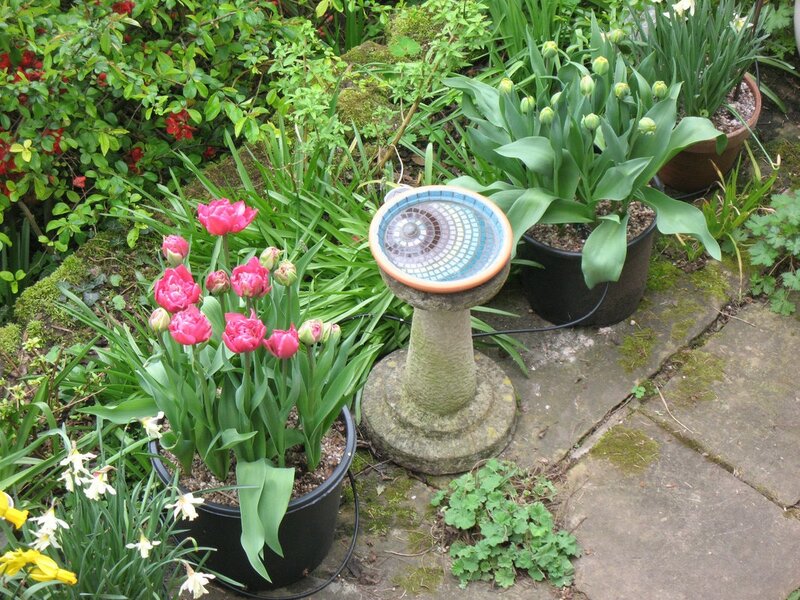 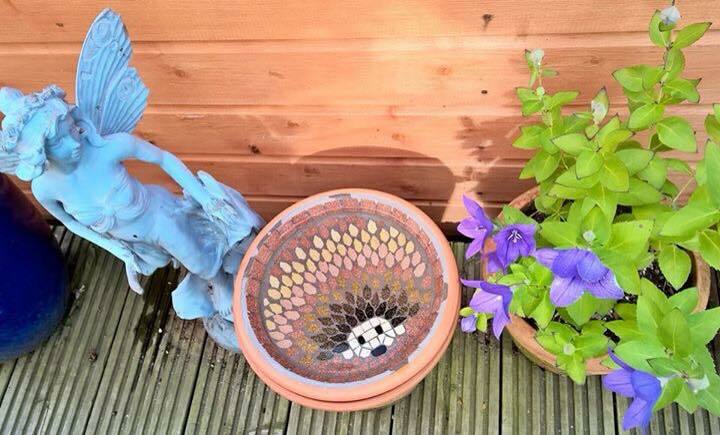 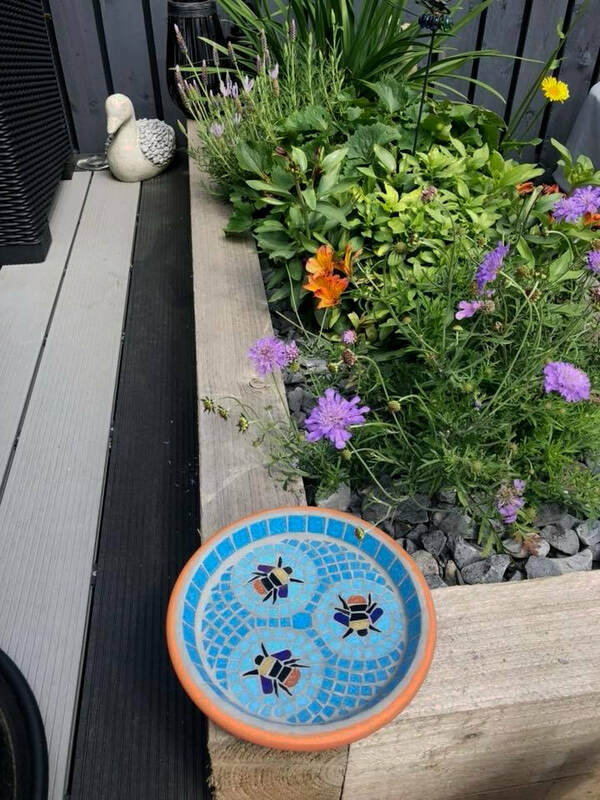 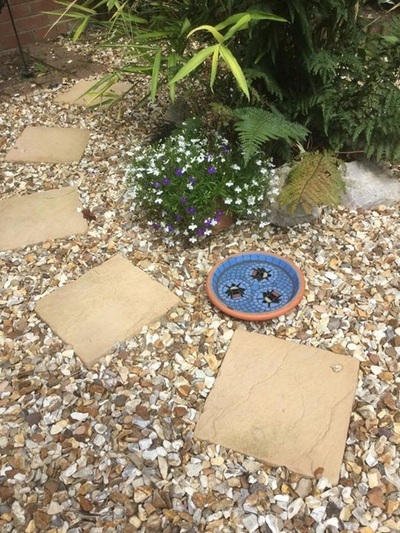 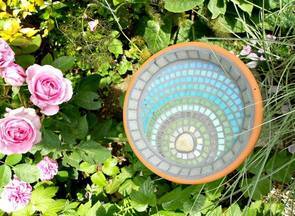 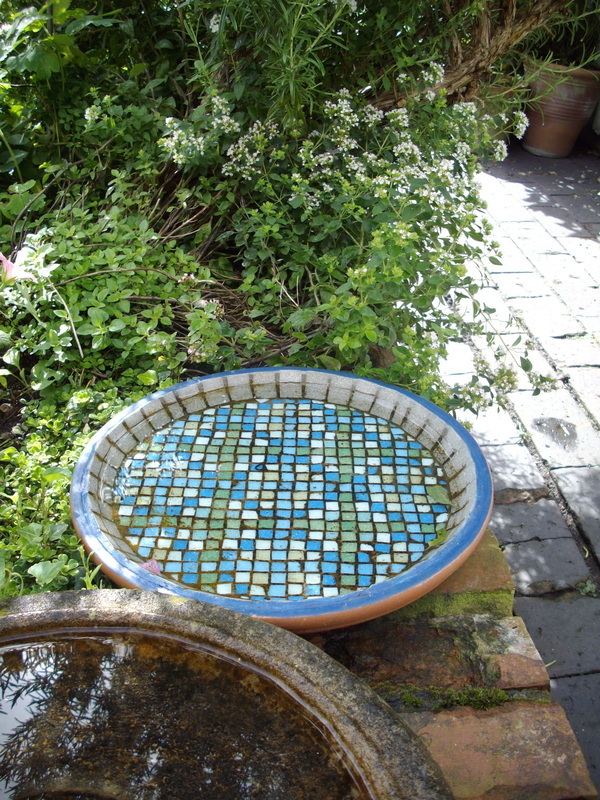 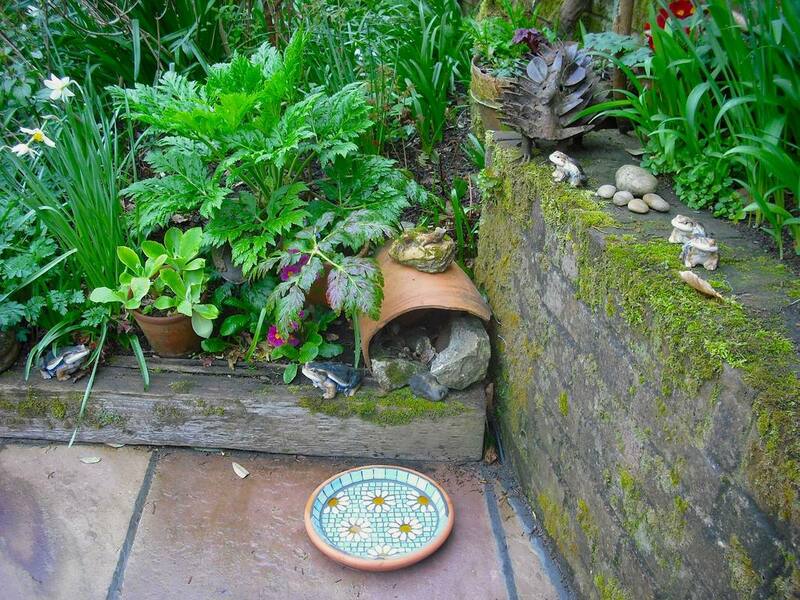 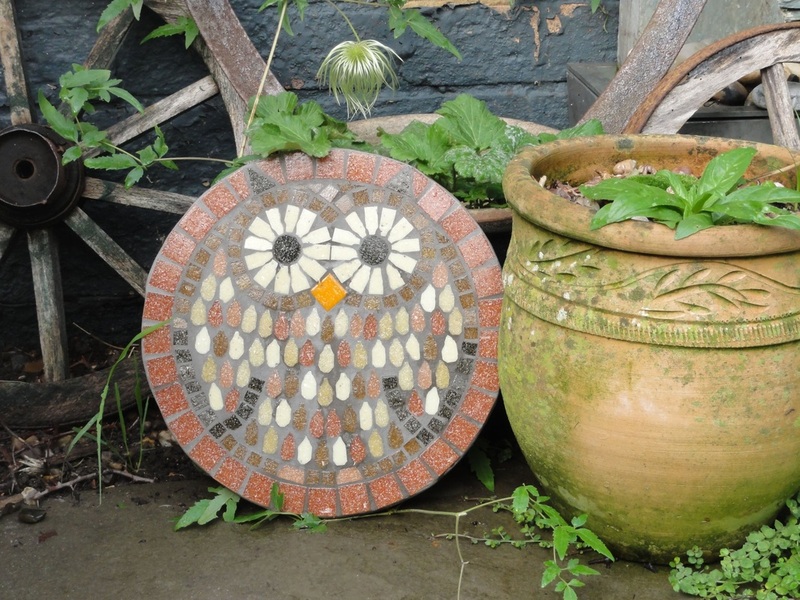 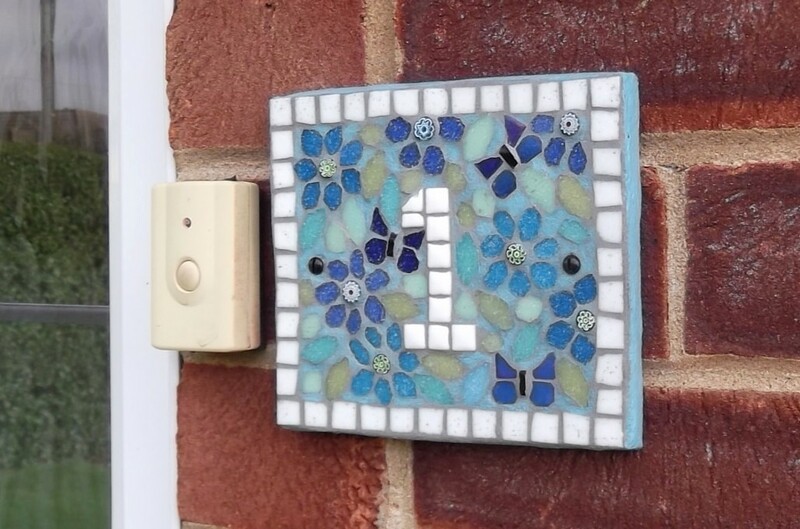 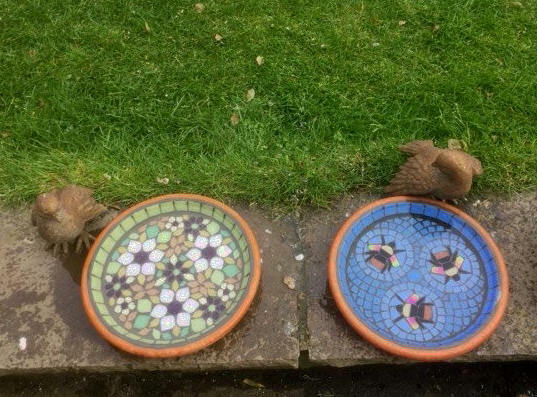 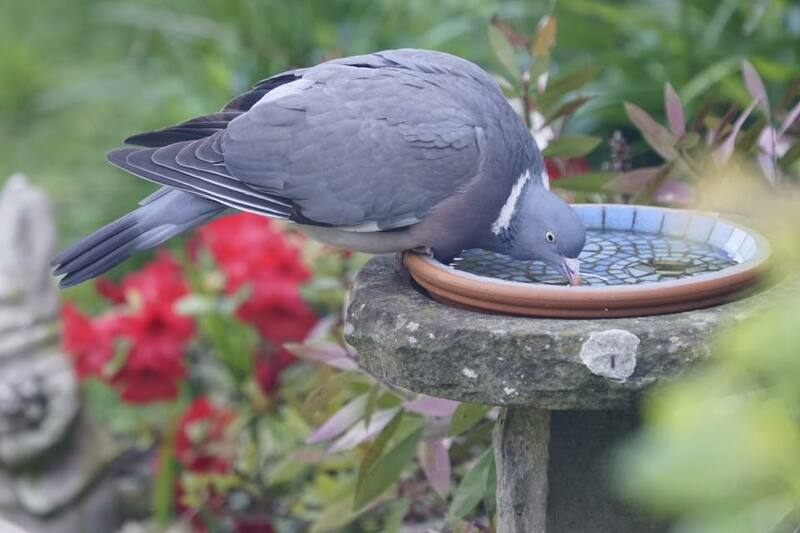 Also on this page are some fabulous customer photos of their bird baths and ornaments in their own gardens, and being used by their garden wildlife visitors. 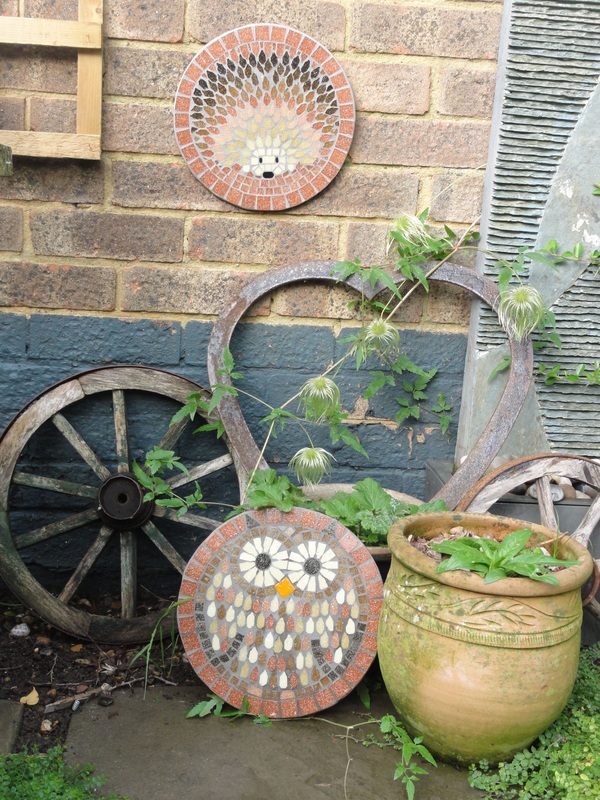 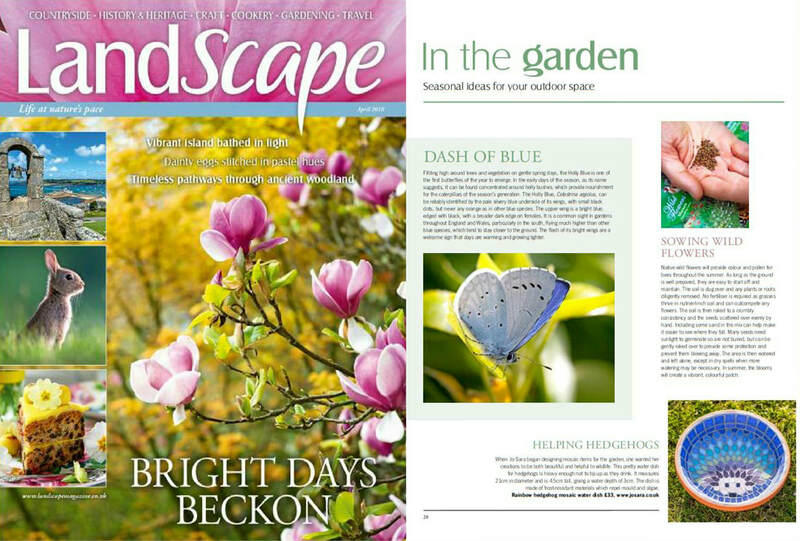 Great inspiration for display ideas in your own garden, and to see what might arrive to use them. 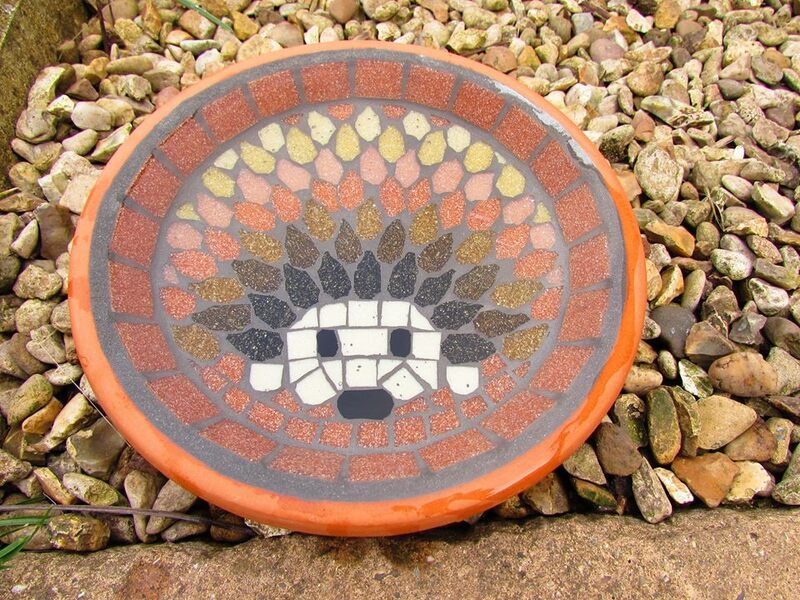 The Rainbow Hedgehog Water Dish featured in Landscape magazine. 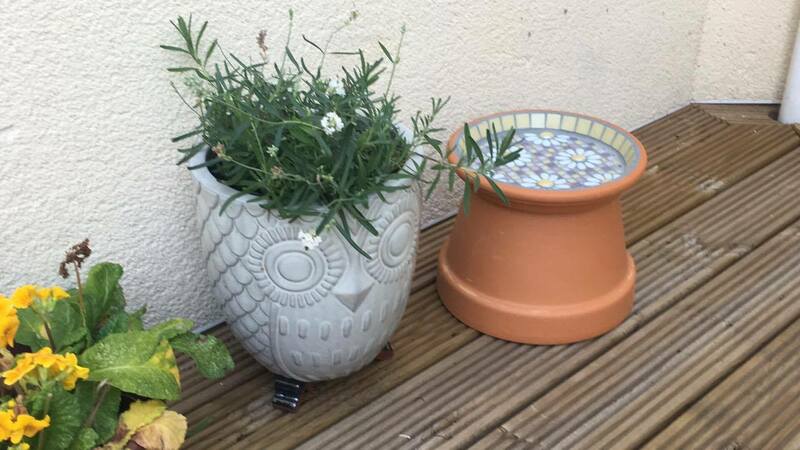 Customer Photo - A Pastel White Daisy bird bath adding colour to this patio while the plants in pots are still growing. 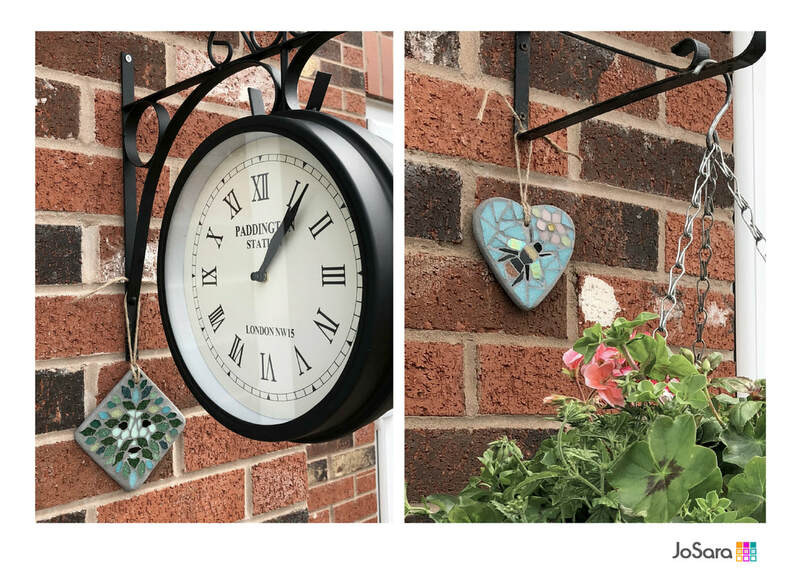 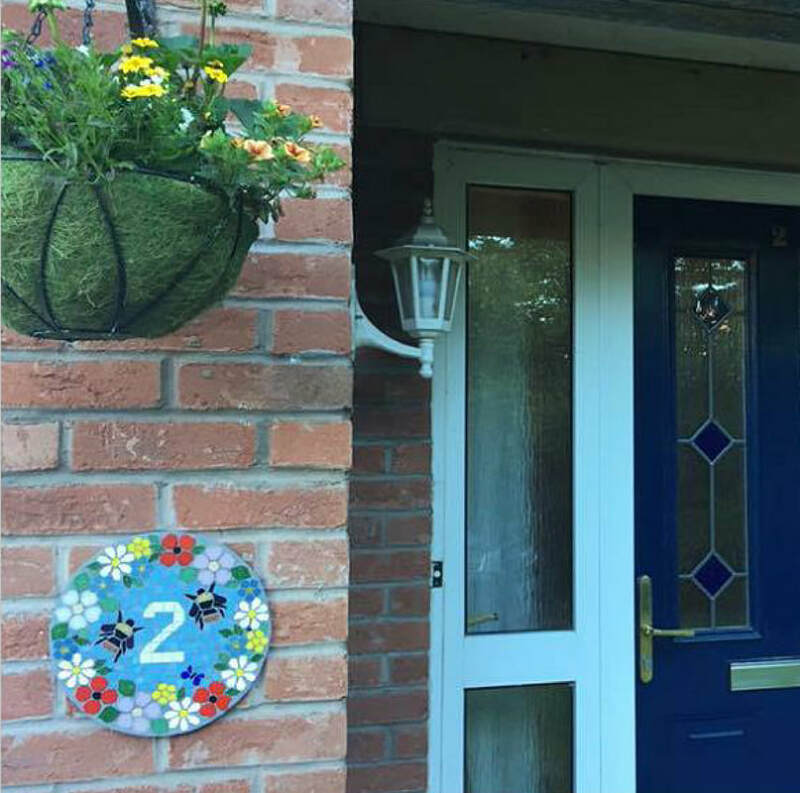 Customer Photo - A collection of Summer Meadow design items greets visitors to this house. 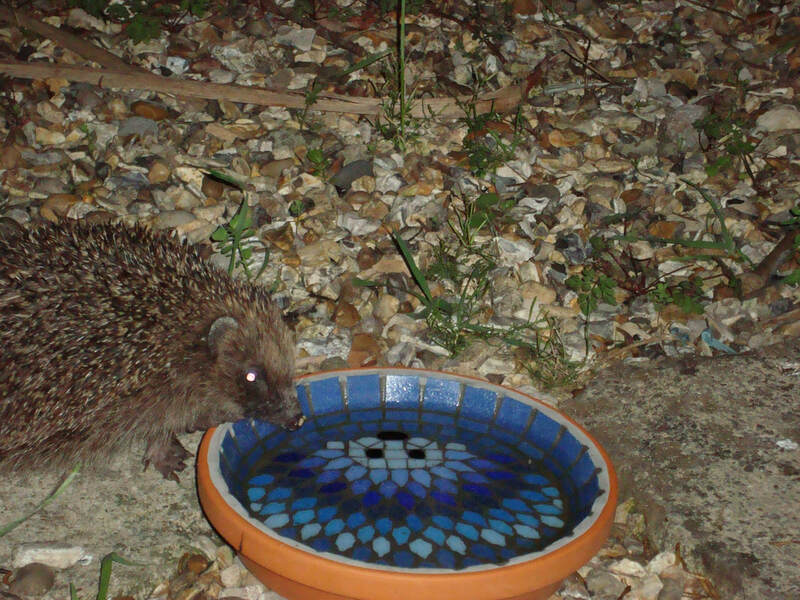 Customer Garden Photo - 19cm Harvest Hedgehog Water Dish looks great resting on gravel. 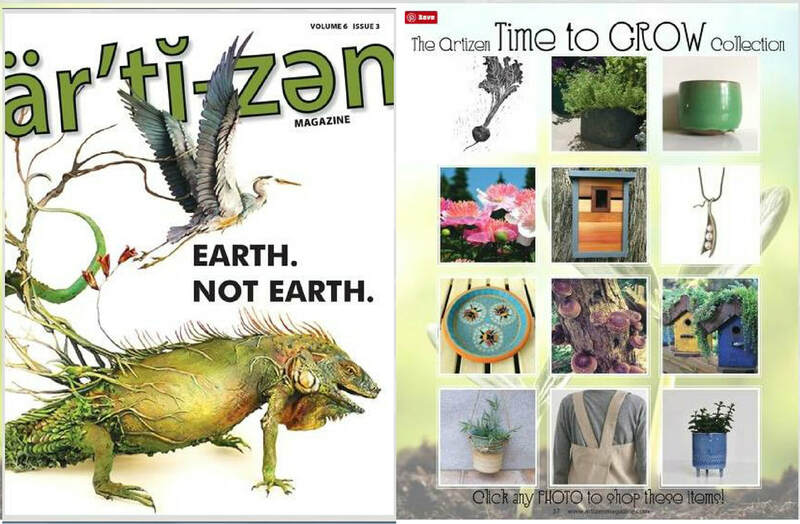 The Moonlight Hedgehog Bird Bath featured in a Swedish Home style magazine in article about buying direct from designers. 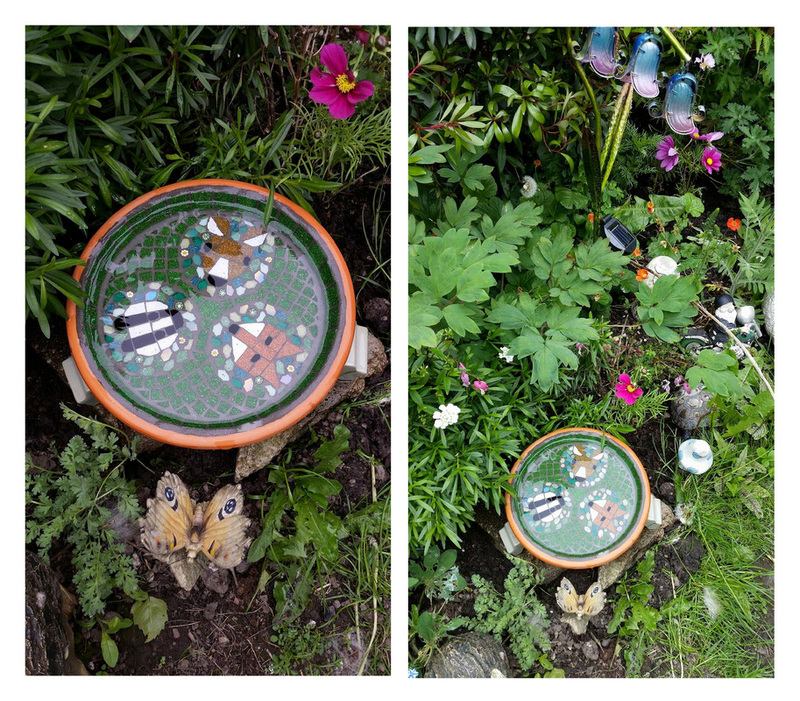 Customer Garden Photo - Matching metallic iridescence of the wings to surrounding planting. 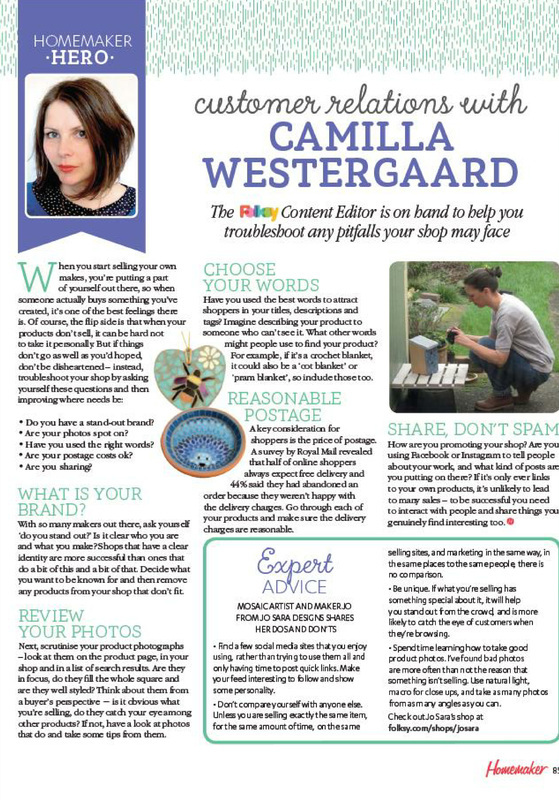 Me, as guest expert in Homemaker magazine. 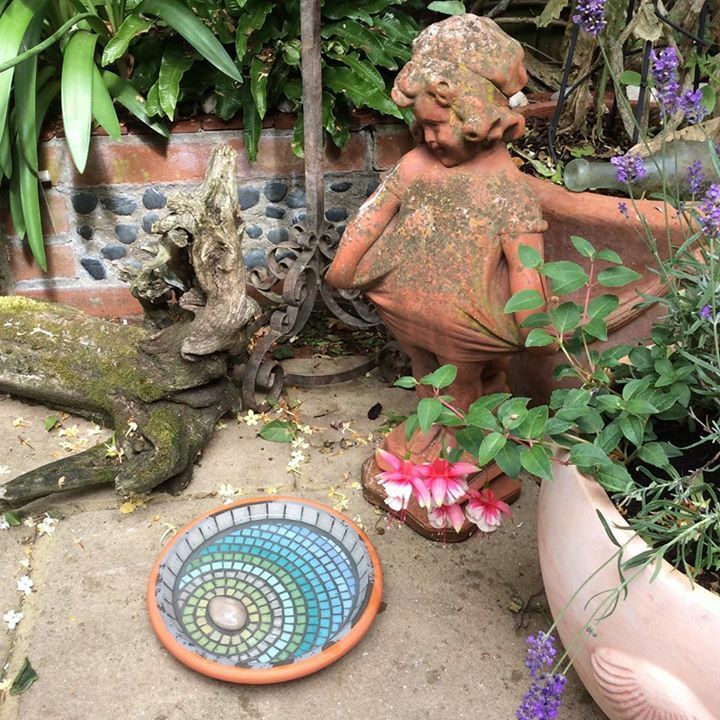 "So, so beautiful! I love it. 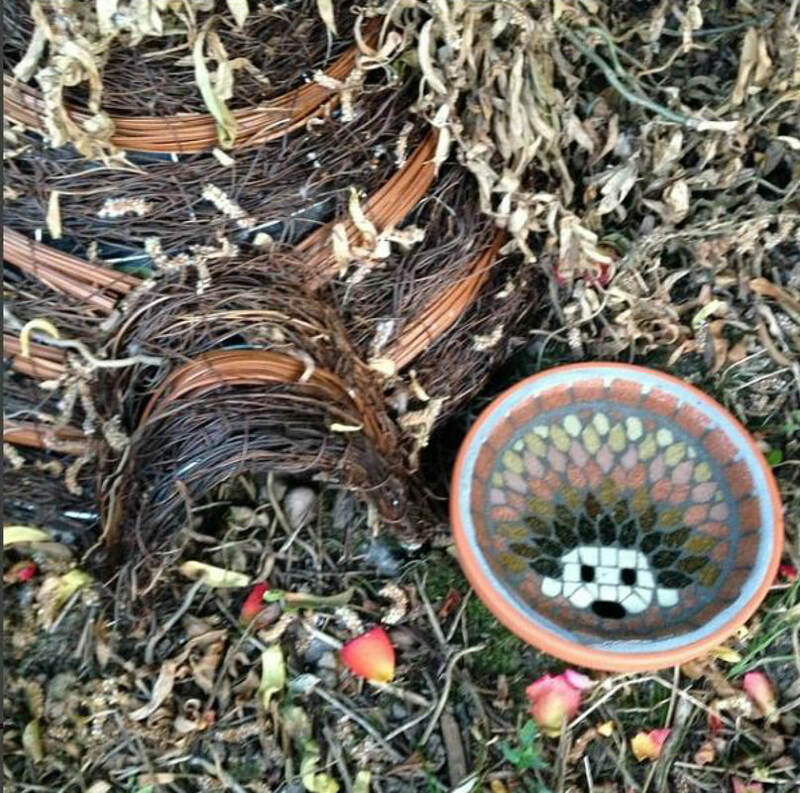 JoSara is an amazing artist. 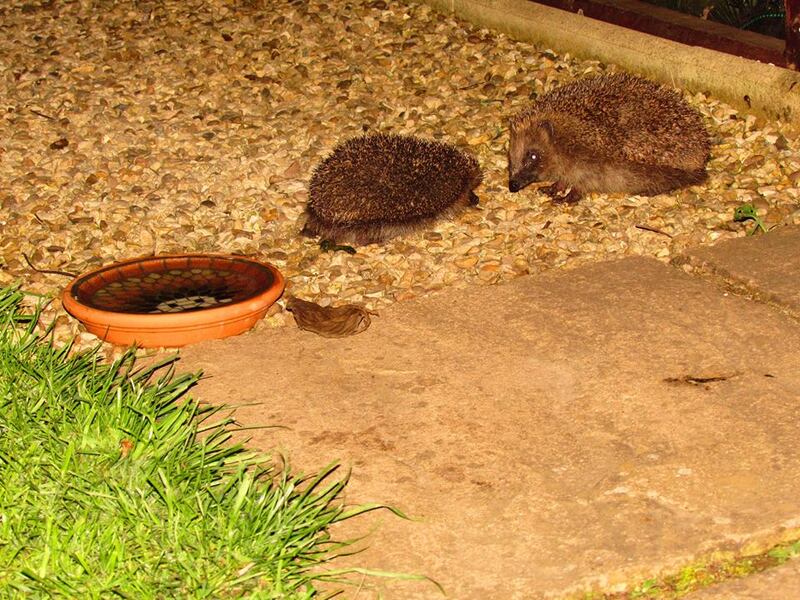 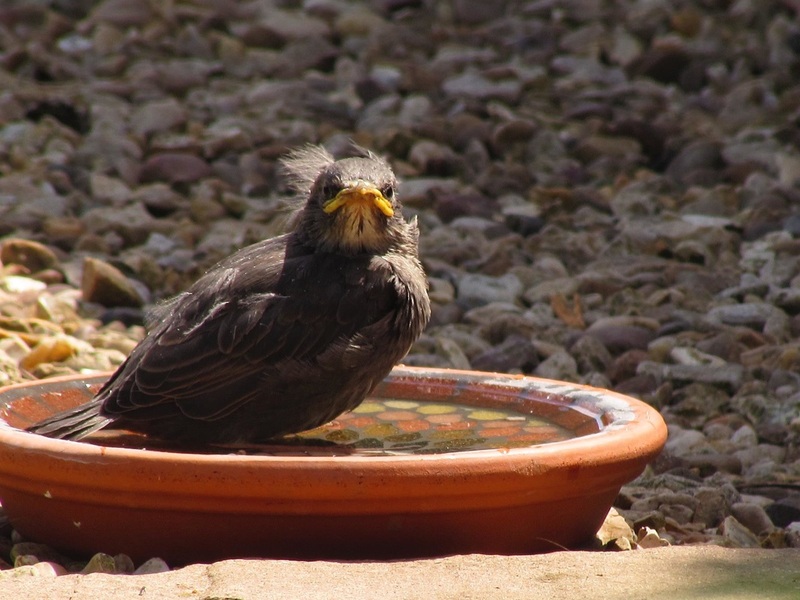 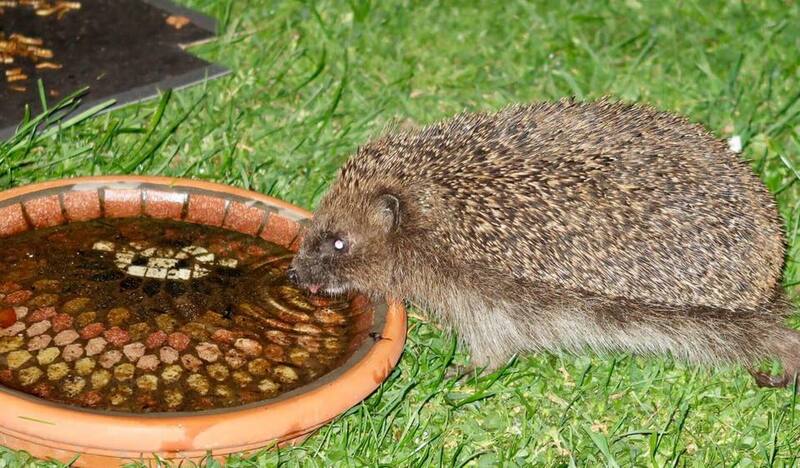 Customer Garden Photo - fledgling startling having a bathe in a 17cm hedgehog water dish. 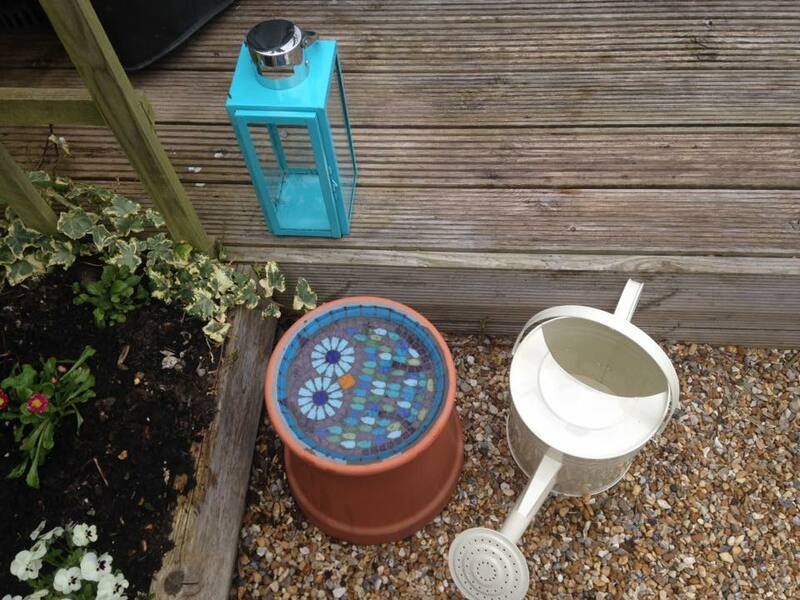 Reflections. 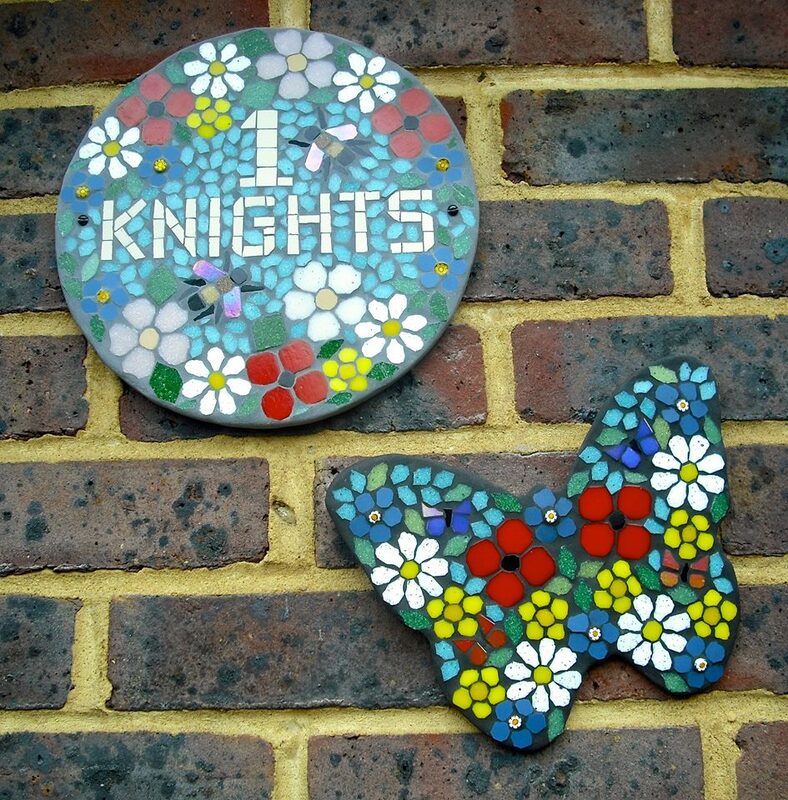 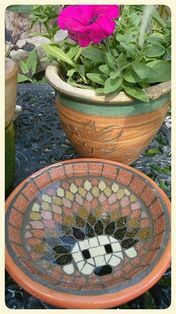 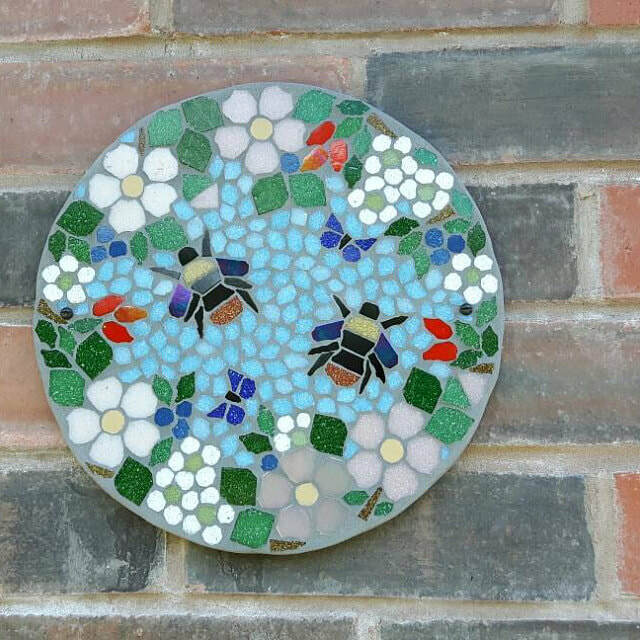 Mosaic bird bath with matching wall hanging decoration. 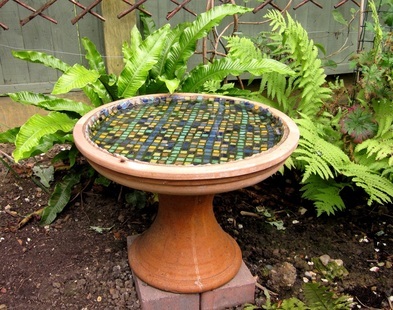 Moroccan Garden Bird Bath with exotic plants? 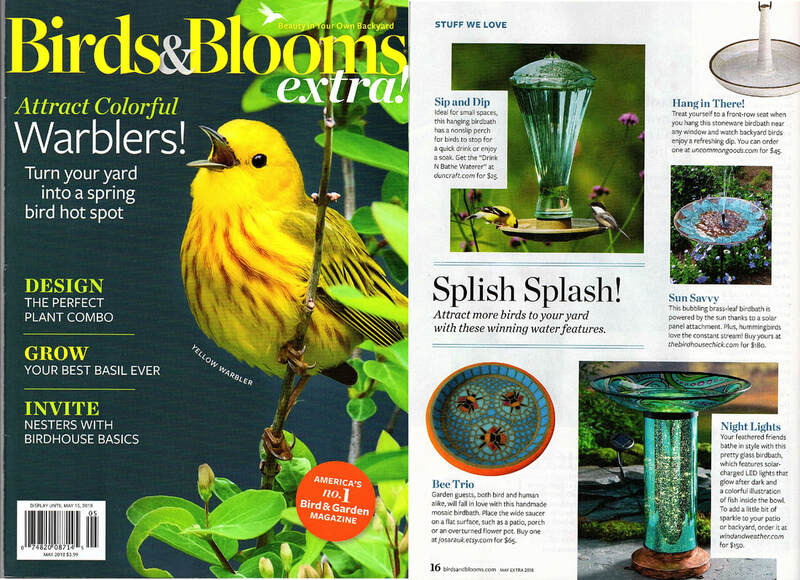 The Moonlight Ripple bird bath in The CGA Magazine garden ornament feature. 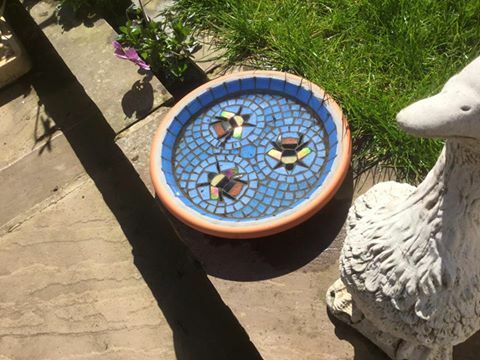 Sunbleached Ripple Bird Bath and a seaside garden? 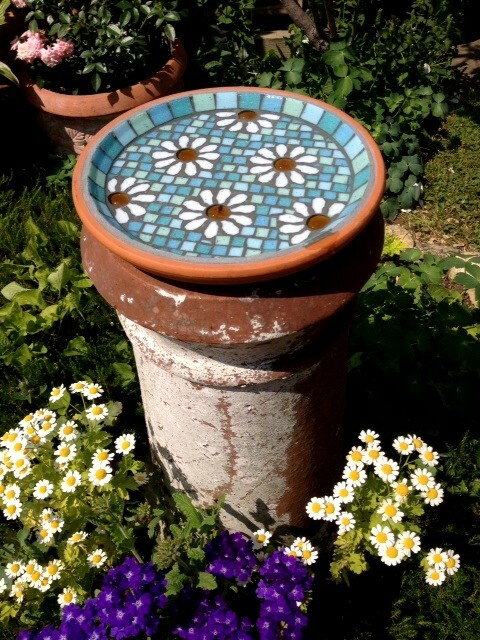 Customer garden display idea - using an old chimney pot as a stand and having daisies around the base. 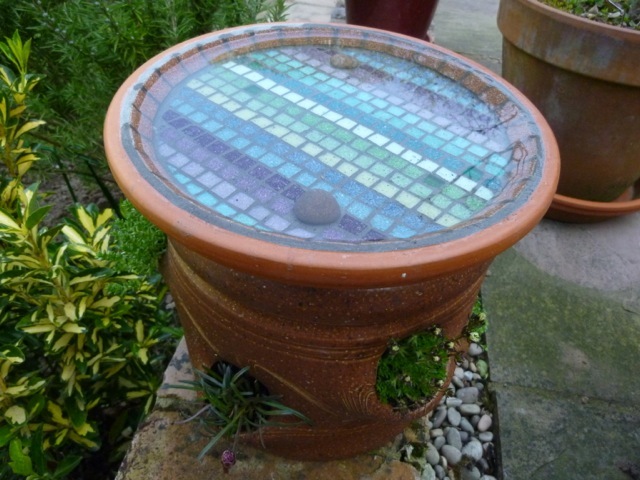 Customer garden display idea - a bit of fun with a painted terracotta pot base. 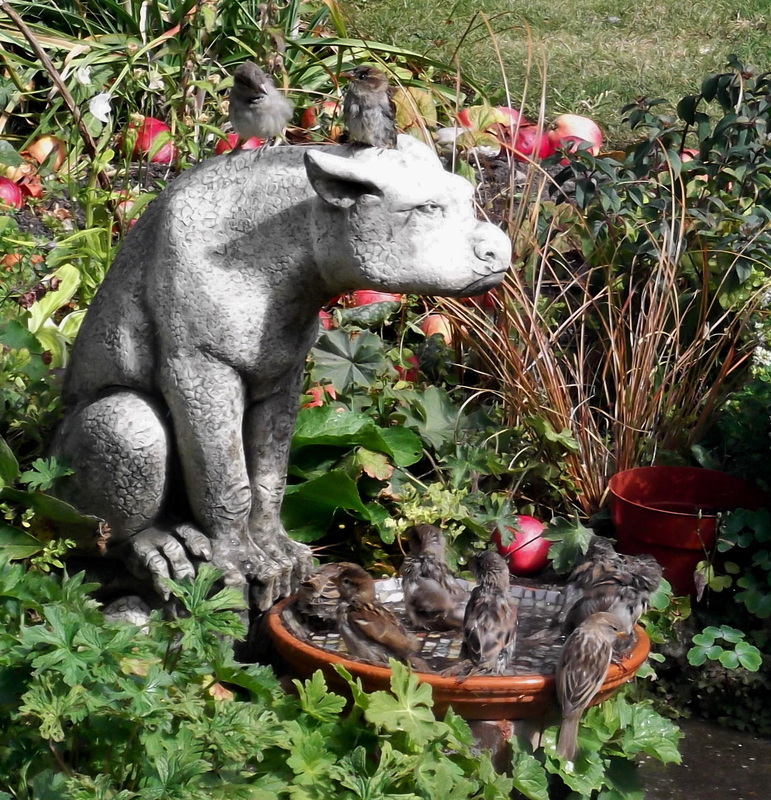 Customer display idea - a gargoyle watching over precedings. 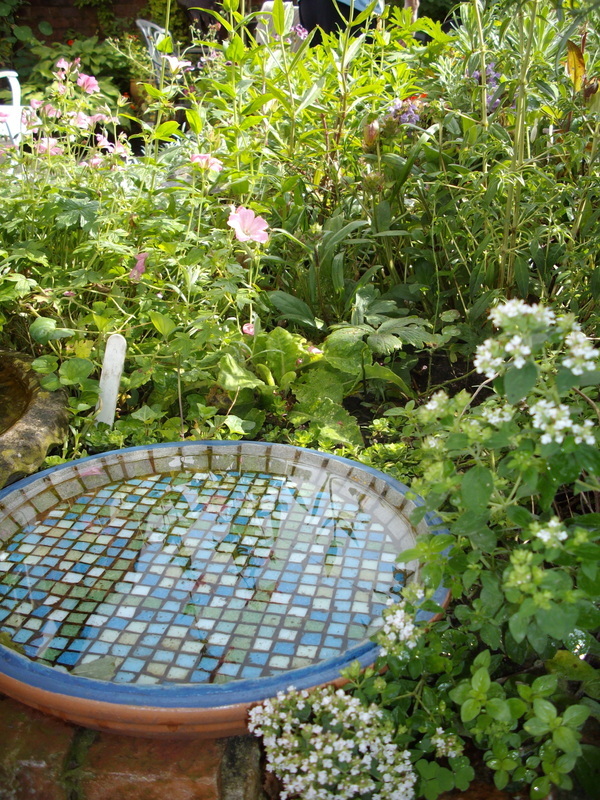 Rose Garden Ripple Bird Bath in a herb garden? 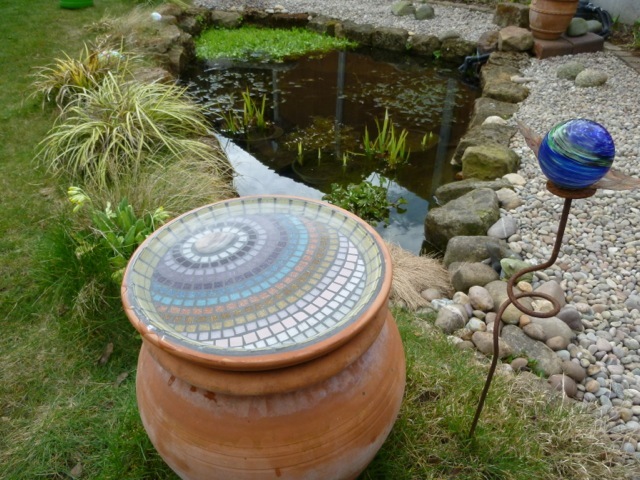 Customer display idea - using interesting shaped pots as bases. 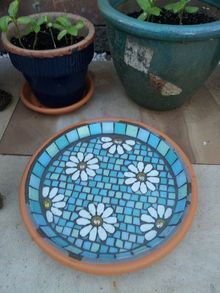 Pastel Daisy Bird Bath and a wildflower border? 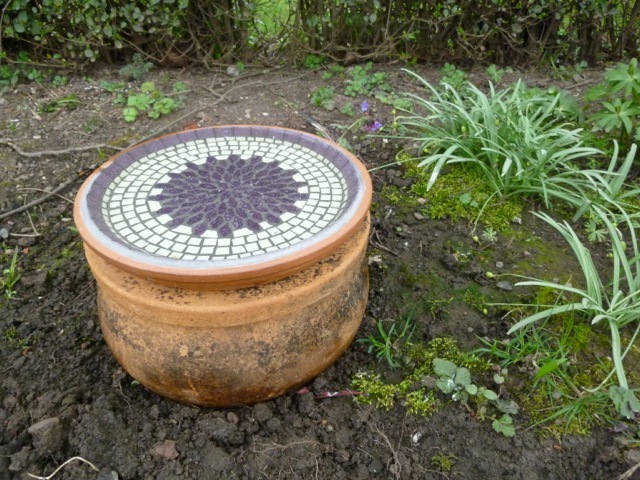 Customer display idea - using a herb pot as a base. 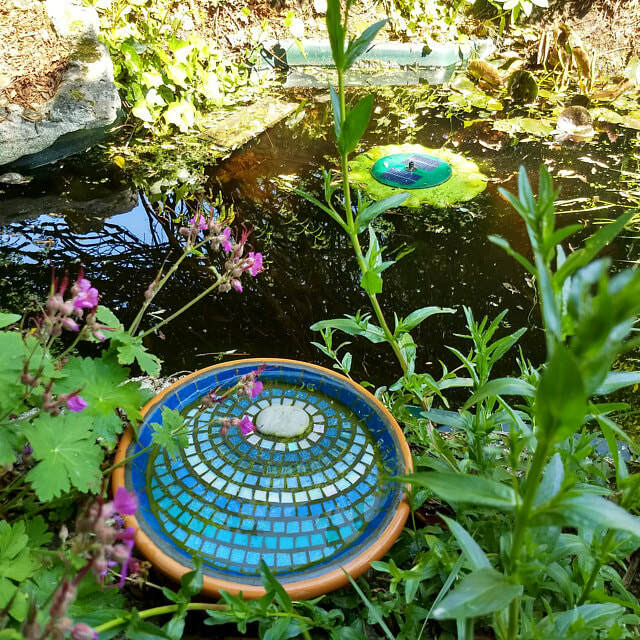 Verdant Ripple Bird Bath in a lush green garden? 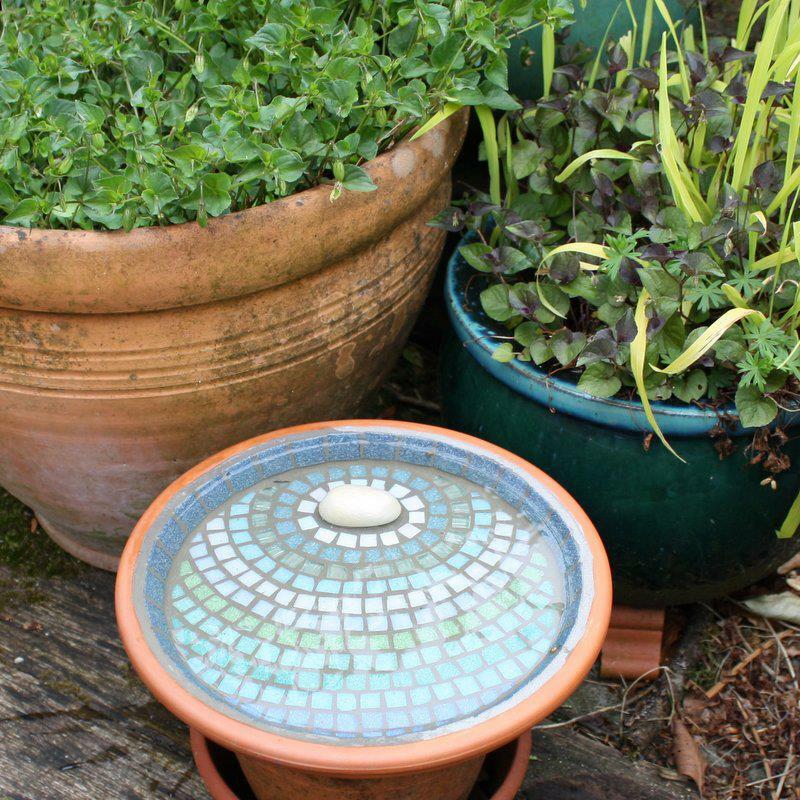 Customer garden display idea - the swirls of the bird bath compliment the swirls of the blue glass globe, and metal stake. 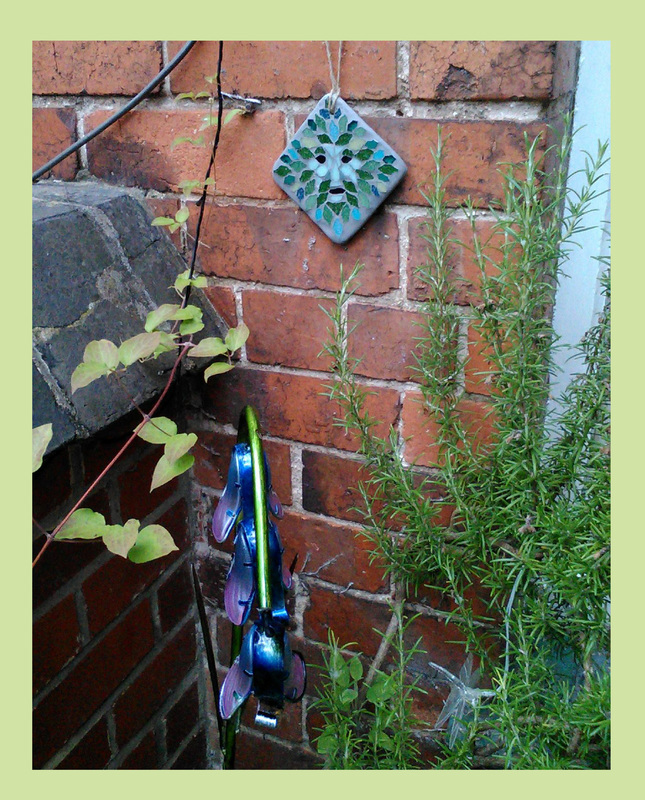 Customer garden display idea - resting on a garden wall surrounded by low growing plants. 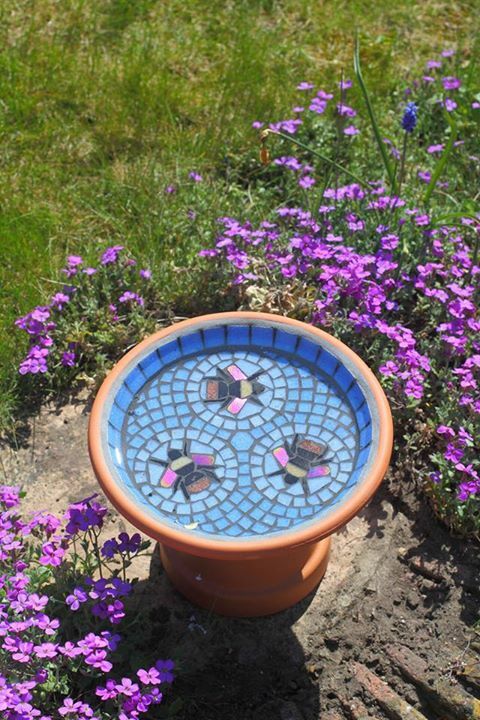 Customer garden display idea - as part of a container display. 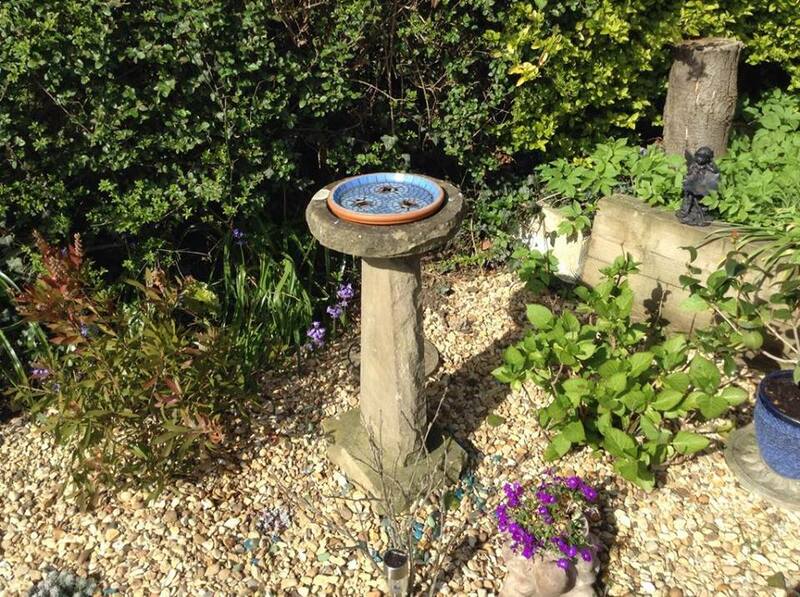 Customer garden display idea - put more than one bird bath together for less fighting over space. 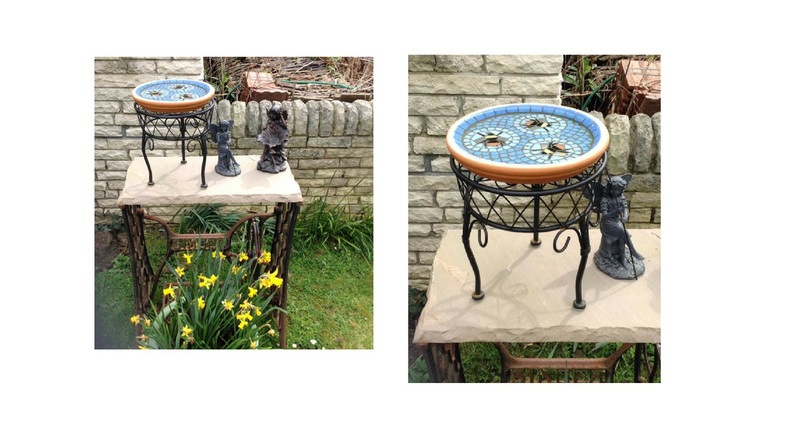 Customer gareden display idea - using bricks to raise the bird bath up.